August 2015 – "inisiative for green energy, maritime way and cleen development"
Since the mid 1990s, one dynamic of the national energy sector, specically from the perspective of the petroleum industry, was the achievement of peak production. Since then production levels have begun a steady but sure decline. At the same time, levels of domestic consumption have continued to rise. These two trend lines, namely declining production and increasing consumption have nally been passed. 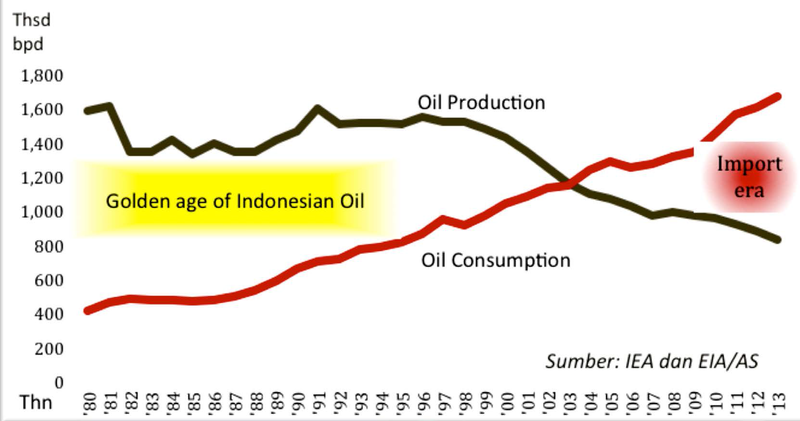 Since the middle of the last decade, Indonesia switched from being a petroleum exporting nation to becoming a petroleum importing nation. ect the global oil industry.